This book explores the origins, development, combat use and lasting influence of Nazi Germany's automatic rifles, focusing on the Gew 41(W), Gew 43/Kar 43, FG 42 and MP 43/StG 44. The Blitzkrieg campaigns of 1939-40 convinced many observers that most infantry combat took place at closer ranges than the 750-1,000m. From 1941 Germany's arms designers took note and produced a new series of infantry firearms. This study not only provides a detailed technical description of each weapon, but also explores how the firearms performed on the battlefields of World War II. 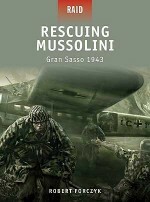 The combat takes us from the FG 42 in the hands of Fallschirmjäger at Monte Cassino through to StG 44s being used by Waffen-SS soldiers on both the Eastern and Western Fronts. Postwar service is also studied, such as the Gew 43's adoption by the Czech Army and the StG 44's use by the Viet Cong in the Vietnam War. Setting each firearm in its tactical and historical context, and employing striking photographs and full-colour artwork, firearms expert Chris McNab sets out the absorbing story of this distinctive and influential series of weapons. Chris McNab is an author and editor. To date he has published over 25 books, including A History of the World in 100 Weapons, Hitler's Armies and The Uzi Submachine Gun for Osprey. Chris has also written extensively for major encyclopedia series, including African-American Biographies (2006), USA 1950s (2006) and Reformation, Exploration and Empire (2005), and has contributed to The Times on the war in Iraq.